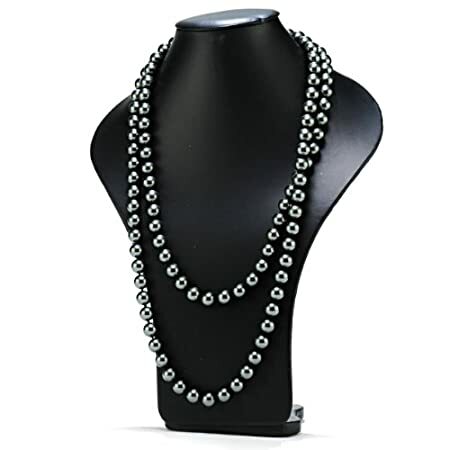 Pearl is the traditional gifts given to those who are celebrating their 30th wedding anniversaries. This has been being observed since the middle ages. Your parents must have been through a lot and they manage to surpass all the challenges they had in their marriage. A marriage grows stronger as years pass by. Just like a tiny pearl, it will take a long time before it matures and grow into a beautiful art of nature. It perfectly symbolizes marriage is; fragile at start and grew stronger and more valuable as time goes by. Here are some gift suggestions that you can give your parents on their 30th wedding anniversary. It can be made of pearl and something out of the box idea. You can stick with the traditional gifts we add here but I suggest you also look at new gift ideas for your parents to enjoy. 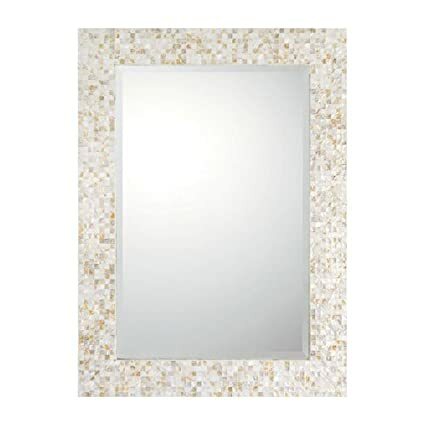 You can give them this ultra gorgeous mother-of-pearl mirror by Capital Lighting, a very well reputed company for these type of fixtures. the ever so artful mom who loves to decorate their house will just adore the polished and elegant look of this piece of decorative furniture while your plain old dad can still use this while he shaves. This hand-made gift idea is a real win! This is a cool and new gift idea for your parents. It is fun way to spend this special day intimately. The two of them will spend the night sipping great tasting wine and be inspired in painting their colorful marriage. They will guided by an artist on the step-by-step techniques in creating a wonderful piece of art. All art supplies they need will be provided and at the end of the night they can take home their masterpiece as a memory of their great milestone of their marriage. If your parents don’t have the artistic side, maybe this romantic gift idea will make their day. Surprise them by giving them a romantic dinner for two with their own personal chef at their own home. This is a great experience for couples who wanted celebrate their anniversary but doesn’t have the luxury of time to go out. This will definitely turnout to be the most romantic and memorable anniversary they have yet! Looking for a unique gift to give your parents? This is the best gift to give them. The will enjoy this wonderful gift idea. A romantic date on a private hot air balloon over great scenery. No worries about the safety because the operators of these hot air balloons have been in the business holding a perfect safety record since 1976. End the experience with a traditional champagne toast and pastries brunch. Before they go to their dinner date, let them stop for a while and have a photo shoot. Let them keep a memory of their marriage’s milestone. This couple’s photo shoot is perfect for those who are celebrating their anniversary. It is a unique gift to give your parents on their special day. This gives them quality time together and a memory for them to keep reminding them the great marriage they have. Since pearl are a traditional gift idea for those who are celebrating their 30th wedding anniversary, why not give therm a beautiful (and matching) jewelry combo? 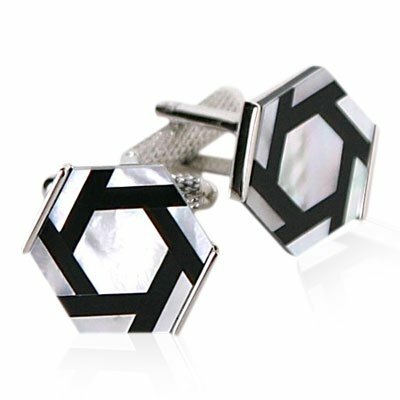 You dad will love these cufflinks because they are so trendy and your mom will look classy wearing these pearl necklaces. 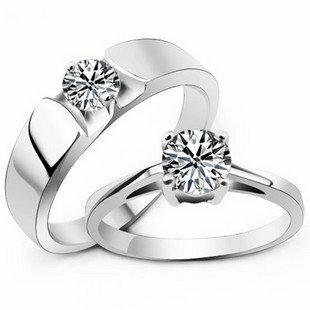 Treat your parents with this fashion jewelry items for couples. This couple ring is made in a 3 layer of platinum plating surrounded with sterling silver and features a gorgeous Switzerland Zirconium Diamond Crystal. Your parents’ names can be engraved on the ring just like newlyweds. This is a perfect gift for your parents. IT is something that will be reminding them of the great marriage and their wonderful child. This keepsake is a sweet present to give them, maybe you can add a bit of surprise by adding a simple note or a couple’s ring. Images can be added in a colorful designed tile on the lid of this jewelry box. This jewelry box is made of lacquered wood that comes in golden oak, emerald green, red mahogany and ebony black. Its interior is covered of felt to protect the jewelry inside it. Give them a gift that is memorable and something that wouldn’t cost much but didn’t compromise its quality. Your parents deserve a special gift on their wedding anniversary. They managed to make their marriage work and built a wonderful family that you have now. This specially designed watch is a perfect gift for them. It is a simple and elegant electronic watch. It is made of quality materials and stylish design. You will never go wrong with this gift item. 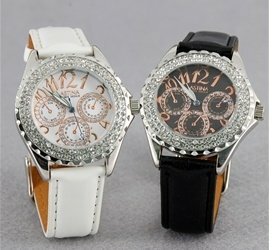 And for sure your parents will love to have this couple’s watch. Let everyone know how much your parents love each other. They made it to their 30th wedding anniversary and counting. Not every marriage reached this far and this is one of the reason why this event needs to be celebrated. Celebrate their wedding anniversary with a sweet couple shirt of their romantic 30 years together. Personalize it with your parents name or photo and play around with the font style and size. It has a clear printing and vivid colors. This is such a wonderful and sweet gift to give your parents. Celebrate this special day; let your parents enjoy the great milestone they reached together. It doesn’t matter if you follow giving the traditional gifts or not. What matter the most is that you were able to let your parents celebrate this day dedicated just for them. Congratulate them for having a great marriage, and look forward to have the same as well.